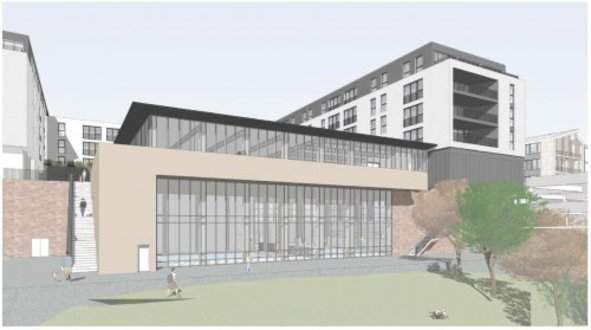 Welcome to your dedicated page which will have all the up to date information on the Keynsham Leisure Centre refurbishment. Our 30 station gym includes a wide range of cardio vascular and resistance equipment. We also have a free weights area and a designated core stability zone. Our friendly fitness instructors are always on hand to help you meet your fitness goals from your initial induction through to refocus sessions. We also offer personal training for those who want an extra push to overcome any obstacles. The gym also has a "Workout wall" which provides a range of varied workouts for customers to use to spice up their normal gym routine. In addition to this, we also offer specialised junior gym session for 11-15 year olds who are looking to improve their fitness in the gym. These session are fully supervised by a member of staff who can help participants reach their fitness goals. There is no age limit and no limits to the enjoyment it can contribute to helping you maintain a healthy lifestyle. Swimming can improve your general health, strength and fitness whilst being time efficient, great value for money and an excellent way to unwind. It’s hard to beat for a total body workout! We offer a vast range of activities within our 4 court sports hall. A fun and friendly way to get fit! Improve your reflexes, hand-to-eye coordination and overall fitness levels with this popular racket sport. We run a range of sessions from casual ‘pay and play’ to resident leagues and clubs, so grab some friends or come along and make some new ones at a badminton court today. A low-impact, risk-free way to get active and have fun Table Tennis improves hand-to-eye coordination, reflexes, muscle movements and mental alertness. Make friends playing the game that requires tactics and concentration. We offer ‘pay and play’ sessions, casual and block bookings and provide a home to community leagues and clubs. Make scoring goals your fitness goal! The world’s most popular team sport and we can see why! Football inspires confidence and passion, improves fitness levels and provides a great platform to bond with friends. We offer lots of ways to enjoy the beautiful game with indoor facilities accommodating all different game sizes with availability for casual or block bookings. Show us your skills! Basketball provides a fun way to build up endurance and muscle, develop concentration and burn calories. Whether you want to practice your three-pointers, shoot some hoops or challenge your friends to a game, our basketball courts are available for anyone to hire. Children can play basketball as part of our holiday programmers and after-school activities. Did you know you can check availability and book your sports hall activity online? We have two squash courts that are avaialble for casual or block bookings. 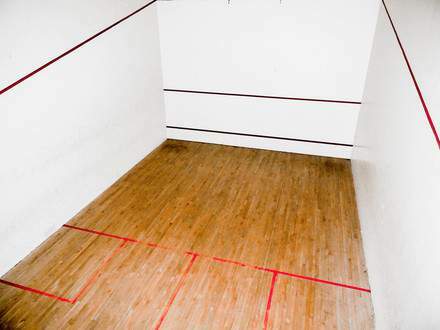 Did you know you can check availability and book your squash court online? Save yourself the stress and expense of hosting a party at home by bringing your child’s next party to us. With activities and options to suit all budgets and ages, your local leisure centre is the perfect place to ensure your child has a fun and active day in a safe, welcoming environment. Staying motivated can be a challenge, but with a wide variety of fitness classes we offer, you'll find the perfect way to keep active for you. Whatever you’re goal, fitness or fun, we’ve got classes for the whole community. From our fundamental fitness classes to classes for older adults, woman and ante and postnatal. We’ve got something to suite everyone.